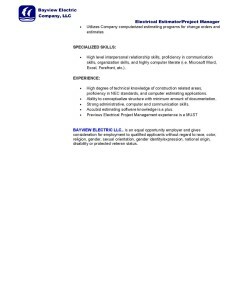 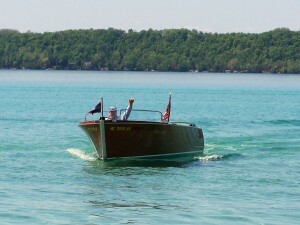 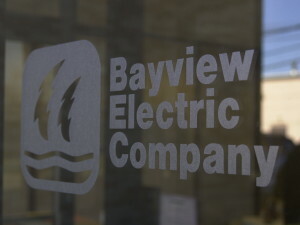 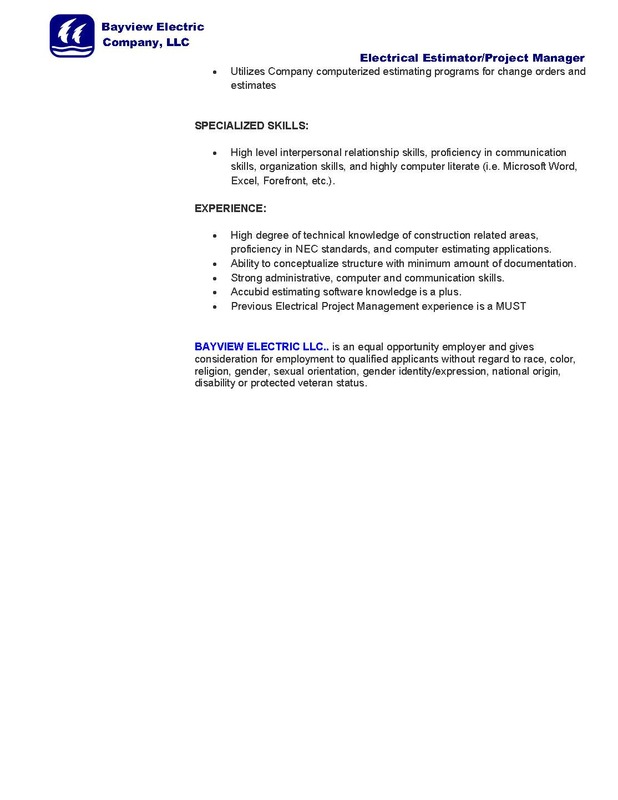 Bayview is currently looking for an electrical estimator/project manager. 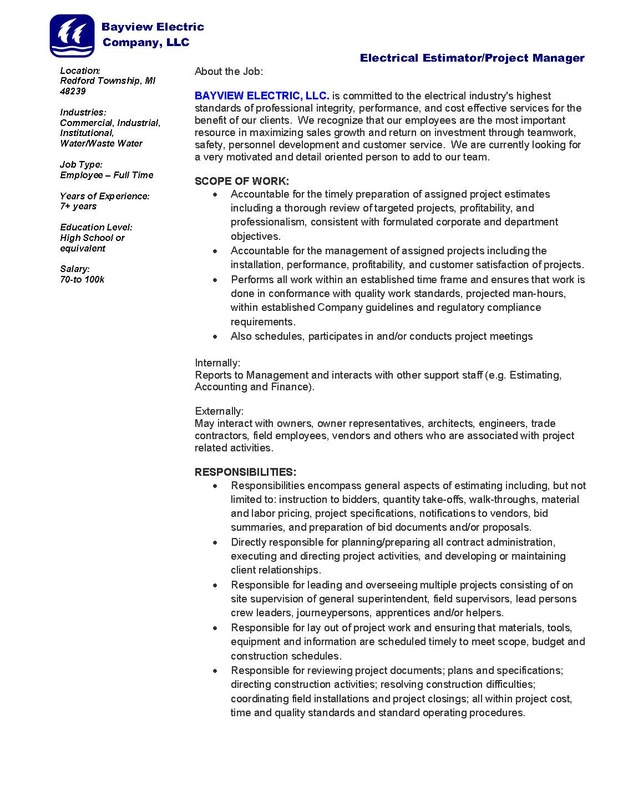 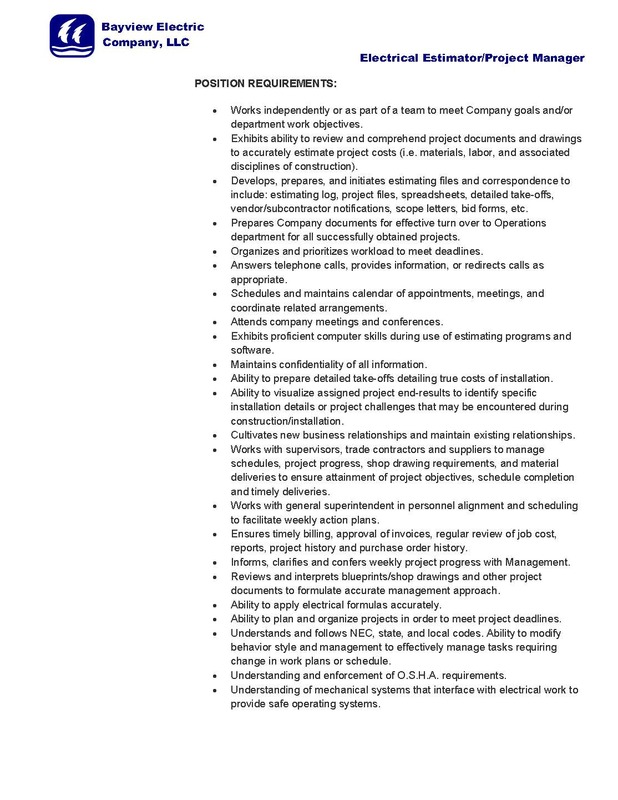 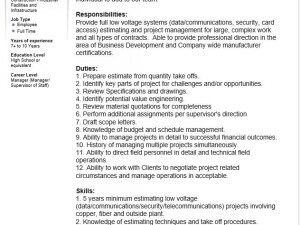 Please see the attached document for a description of the position. 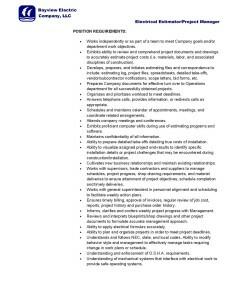 Ideal skills include commercial and water/waste water estimating and management experience.